The SUR-FIT Natura Moldable Stomahesive Skin Barrier are designed for people whose stoma output is mostly liquid with a special formula that enables the skin barrier to adhere to both dry and moist skin. It holds firmly in place with an outer protective coating that holds even when showering, bathing, and swimming. 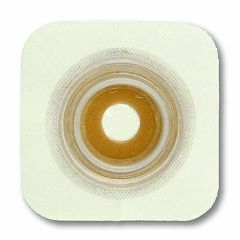 Mouldable allows for improved skin protection over traditional barriers and provides ease of use and versatility. It requires no cutting or measuring, which makes it easy to learn how to use. Need to know if you have the moldable Stomahesive Skin Barrier in size 4 in. along with the ostomy bags size 4 in.